Get ready to BYOC! Introducing SocialJams - gatherings where you can come together with other Jammers to work on your current craft projects! Each SocialJam will have a specific theme and a JamMaster who will give you tips and advice on your project. This SocialJam has a very special theme: Knitting with author and craft evangelist Alanna Okun! In her new book “The Curse of the Boyfriend Sweater: Essays on Crafting” Okun lays herself bare and takes readers into the parts of themselves they often keep hidden. Yet at the same time she finds humor in the daily indignities all crafters must face (like when you catch the dreaded Second Sock Syndrome and can’t possibly finish the second in a pair). 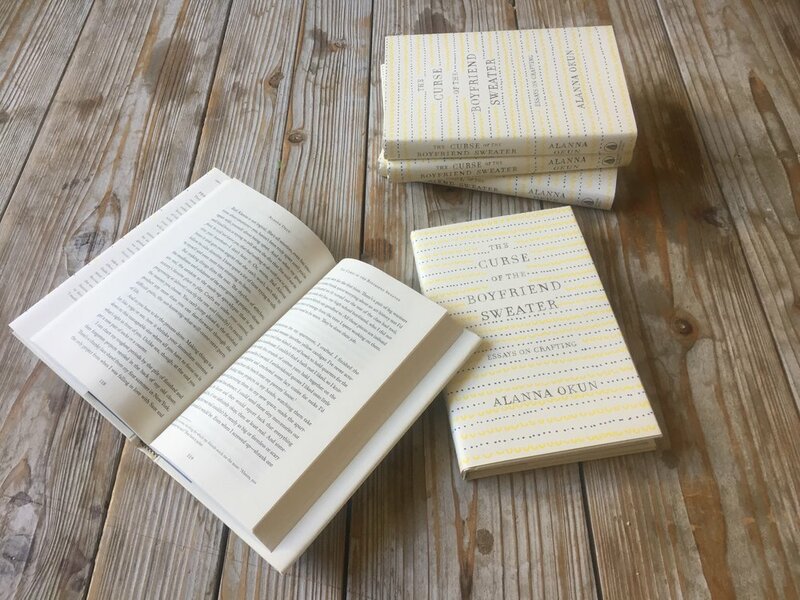 Grab that scarf you’ve been meaning to finish and enjoy a cozy night of connecting with other knitters as, introduced by CraftJam founder Nora Abousteit, craft evangelist Alanna Okun reads excerpts from her new book, The Curse of the Boyfriend Sweater: Essays on Crafting. We are also BYOB friendly, so bring a drink of your choice. What you bring: Your knitting project + favorite drink ! What we will provide: Basic tools (pens, scissors, etc), free Bubly sparkling water, and our special guest!